In 1999, Rolex unveiled a trio of new Yacht-Masters in a variety of sizes. 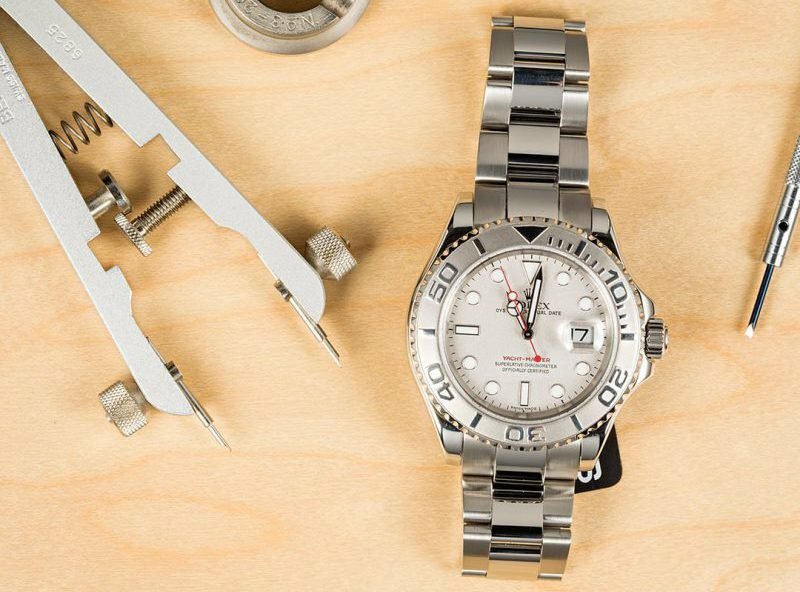 Although these Yacht-Masters are stainless steel Rolex sports watches, they’re ultra-luxurious thanks to their platinum dials and bezels. Named Rolesium, the mix of steel and platinum is, in fact, exclusive to the Yacht-Master collection. It’s worth noting that aesthetically and functionally, these three Rolex Yacht-Master models are essentially the same except for size and calibers. These particular Rolesium Yacht-Masters enjoyed great success, however, they are no longer available in Rolex’s current catalog having been replaced with newer models. Thus, the pre-owned market is the only place to find these specific stainless steel and platinum Yacht-Masters. With that, let’s delve into the three different versions of the platinum Yacht-Master. The largest among the steel and platinum Yacht-Masters, the ref. 16622 sports a 40mm case. Because of its size, the Maxi Dial with the larger lume plots and fatter hands looks especially good on the machined platinum dial. The predominately monochromatic Rolesium Yacht-Master ref. 16622 shows off a flash of color with the red seconds hand and “YACHT-MASTER” label. Driving the Yacht-Master ref. 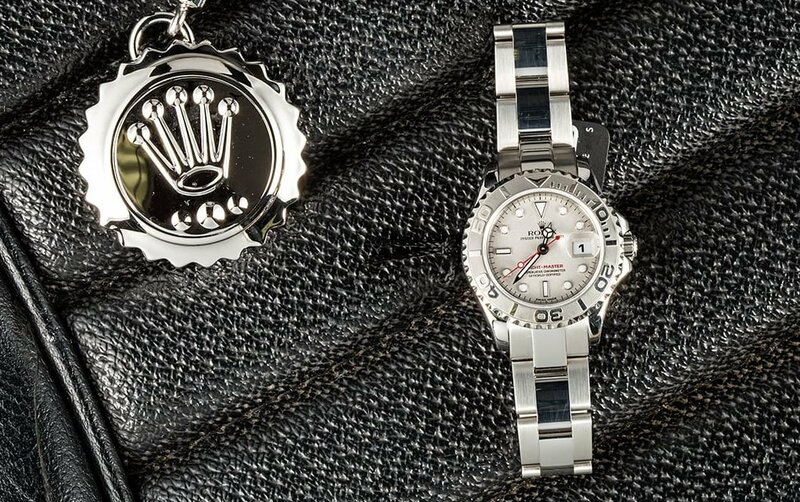 16622 is the famed Rolex caliber 3135 that powers the center hands and Quickset date features. Ideal for both men with smaller wrists and ladies, the Oyster case of the Yacht-Master ref. 168622 measures 35mm. Naturally, due to the smaller dimension of the midsize Yacht-Master, the rotatable platinum bezel is also smaller yet, offers the same high-impact aesthetic. For instance, the sandblasted bezel is a beautiful contrast against the glossy raised numerals and markings. 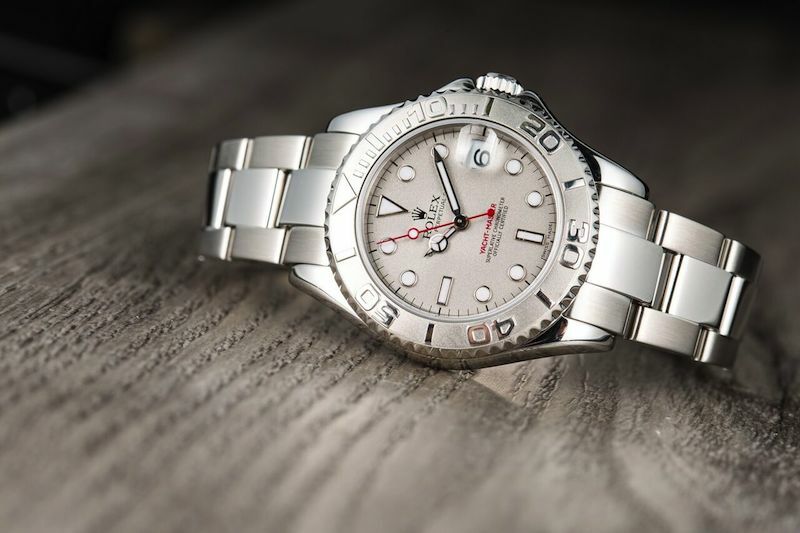 Furthermore, aside from the attractiveness of the platinum bezel, the rotatability of it provides practicality as wearers can use it to time specific events – such as the time it takes sailors to guide their boats between two markers. 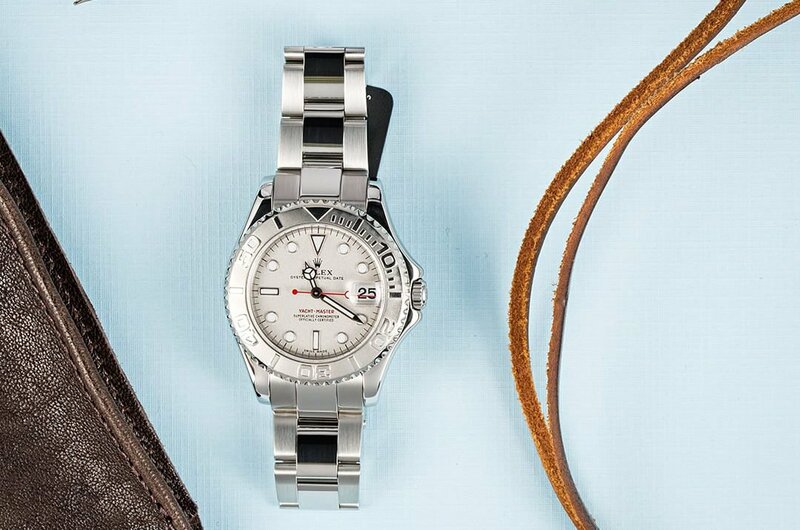 The midsize Yacht-Master ref. 169622 houses the smaller Rolex Caliber 2235 automatic mechanical movement. The daintiest and most feminine option among the three Yacht-Masters. the ref. 169622 dons a case size of 29mm. Though significantly smaller than the other two models, the ladies’ platinum and steel Yacht-Master is still as sporty thanks to its identical design. Just made proportionally smaller, the ref. 169622 still features the same Oyster case, platinum bezel with raised graduations, platinum dial with bold luminescent markers and hands, and robust Oyster bracelet. Plus, as is the case with the first two aforementioned references, the smallest version is also outfitted with the Triplock winding crown, therefore the watch is water resistant to 330 feet (100 meters). The ref 169622 also runs on the Rolex Caliber 2235 self-winding mechanical movement just like the larger midsized Yacht-Master. The Rolesium Yacht-Master, regardless of the size, is the perfect casual chic watch. Sporty, yet super luxe, robust and resilient, yet refined and elegant, it really is a Rolex that can be worn almost anytime and anywhere. Whether sailing the high seas or on terra firma, the stainless steel and platinum Rolex Yacht-Master is a solid companion.